One of the many reasons that drive me to visit a certain place is what it has stored for me. There are also a lot of things that I consider before traveling; the views, the price, the time, the place to stay, the itinerary and etc. But basically, the thing that really gives me that final conclusion is the site that will mesmerize me. Since, I’m into old buildings and nature so I ended up visiting this website a lot of times, http://whc.unesco.org/en/list. It is of great value if a certain location is added in UNESCO’s world heritage site. 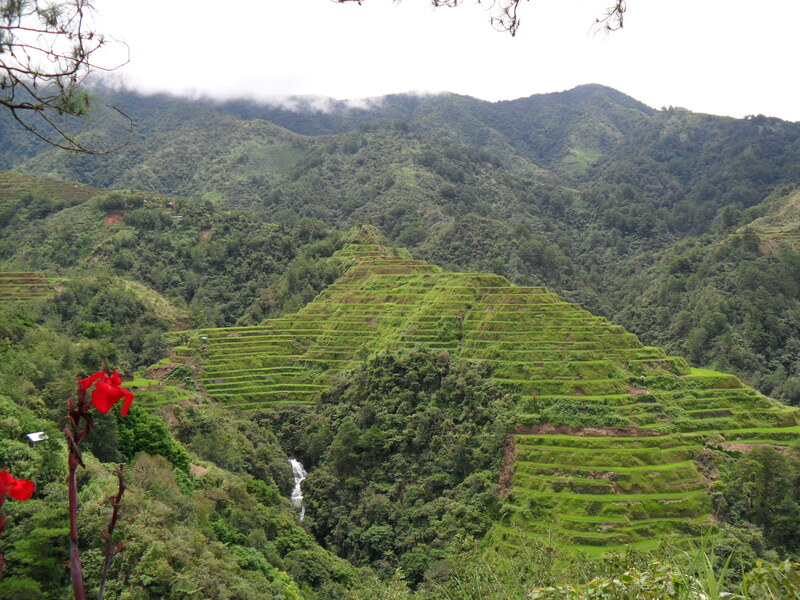 In the Philippines, Hagdan-hagdang Palayan in the Cordilleras or the Rices Terraces is one of those sites. It is located specifically in the Ifugao Province. So for me to see it in person, I visited the Cordilleras Region. It was a grueling bus trip from Manila to Banaue. I went to Ohayami Terminal to buy tickets. The Manila- Banaue fare was just for PhP400 and the trip lasted for 9 hours. I arrived in Banaue at 7AM and went directly to Sanafe Lodge and Restaurant. There were a lot of trikes that you can hire for them to take you to different view points and I only paid PhP400 for the tour. It was amazing and I like it there, serene and fresh. Ifugao is simple yet eye-catching.